In this case, instead of expressing solidarity with all citizens of his native New York City, Trump assailed Sen. Chuck Schumer for sponsorship of a 27-year-old visa program that had bipartisan support and under which the Uzbek perpetrator of this week’s attack had entered the United States. 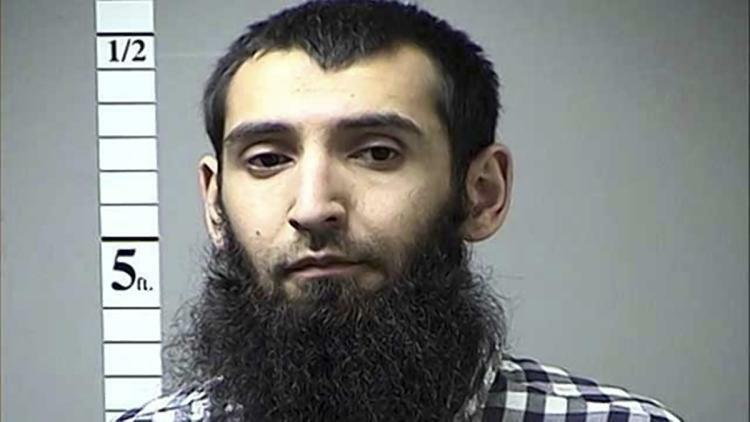 Whatever “extreme vetting” Trump may have in mind for governing legal immigration, it is unlikely it would have eliminated the offender in the Manhattan incident, Sayfullo Saipov. When he came to the United States in 2010, Saipov was a hotel accountant showing no radical or violent streak. It evidently was only after living in the United States and experiencing disappointment in finding desired employment that Saipov evolved into an extremist who, according to those who knew him, became heated when he discussed American policies toward Israel. Saipov’s Uzbek origin also highlights how disconnected from actual patterns of terrorist threat have been the various versions of the Trump administration’s Muslim travel ban. The arbitrary list of countries has never included Uzbekistan. Perhaps Central Asia is just too far removed, compared to the Middle East, from the preoccupations and prejudices that underlay the devising of the ban for it to have made the cut. Trump also quickly maligned the U.S. criminal justice system as a “joke” and “laughingstock” and called for the suspect to be sent to the military detention facility at Guantanamo, Cuba. 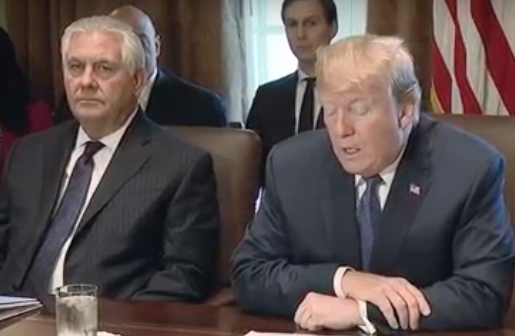 Such a blurt reflected complete ignorance of what has and has not worked in bringing terrorists to justice.Trump’s later backing away from his statement about using Guantanamo must have come from aides confronting him with how far his earlier statement was removed from reality. Civilian federal courts have proven to be efficient and effective as well as fair in handling terrorism cases. According to Stephen Vladeck, an expert on national security law at the University of Texas, prosecution of terrorist cases in those courts has resulted in more than 600 convictions since 2001 with almost no reversals upon appeal. The Southern District of New York, which presumably would be the venue for a trial of Saipov, has an especially long and impressive record of handling even the most sensitive and difficult terrorism cases. In contrast, the military tribunal system at Guantanamo is still having trouble getting its act together after years of fits and starts. This past week, a trial there of accused perpetrators of the bombing of the USS Cole in 2000 was thrown into disarray amid a dispute over legal representation of the defendants. This spectacle featured an Air Force colonel (the trial judge) sentencing a Marine Corps brigadier general (the head of legal defense at Guantanamo) to 21 days confinement and a $1,000 fine for refusing to obey an order of the judge regarding configuration of the defense team. The brigadier general — John Baker, the second-highest ranking lawyer in the Marine Corps — has been unsparing in his own criticism of the tribunal process at Guantanamo. As is true of so many other rhetorical excesses of Donald Trump, the rhetoric plays to misconceptions and prejudices that had already gained wider currency — which is why, of course, Trump uses such rhetoric and why it was effective enough to win him the presidency. (Trump was not the only political figure who spoke favorably about sending Saipov to Guantanamo; so did Sen. Lindsey Graham, R-South Carolina.) The principal misconceptions and prejudices involving terrorism to which Trump’s rhetoric about the New York attack appeals include the following. One is the notion that terrorist violence against Americans is overwhelmingly a problem with foreigners and not with other Americans. This has led to conflation of immigration issues with counterterrorism issues, added respectability to a preoccupation with building walls, and diverted attention and resources from security measures that are not border security measures. A related notion is that terrorism is overwhelmingly a problem with certain foreigners, and especially Muslim ones. This does not square with the pattern of violence, and of political violence, in the United States since 9/11. A further notion is that terrorism is a problem with a fixed set of bad guys, the elimination or exclusion of whom would solve the problem. This ignores how once-peaceful people like Saipov can come to adopt extreme tactics such as political violence. It also ignores the issues and grievances that may lead people to make that transition. A broad, underlying misconception inheres in the “war on terror” label, with everything that implies regarding the militarization of counterterrorism. This not only leads to anomalies, such as colonels trying to order generals what to do, in attempting to put justice into a military framework when it does not fit. It also has led to military expeditions overseas that have stoked anti-U.S. terrorism more than they have diminished it, through the knock-on effects of collateral damage and perceived affronts to someone else’s homeland.